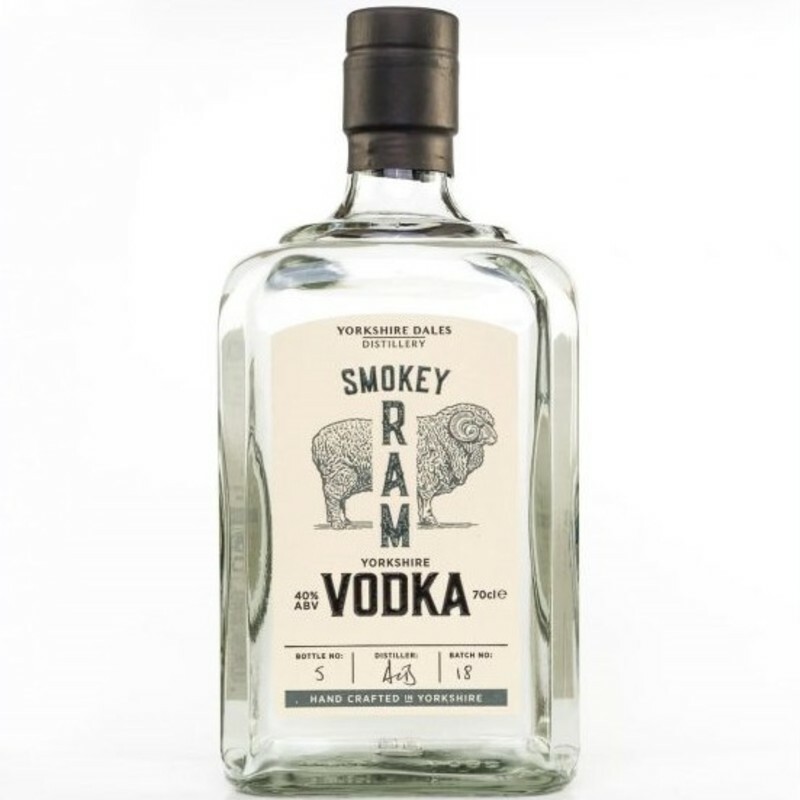 Notes: Soft tones of red fruit which blend perfectly with inviting juniper. Gentle and rounded. Aromatic sweetness moves into fragrant citrus. Palate: A burst of pink flavour. 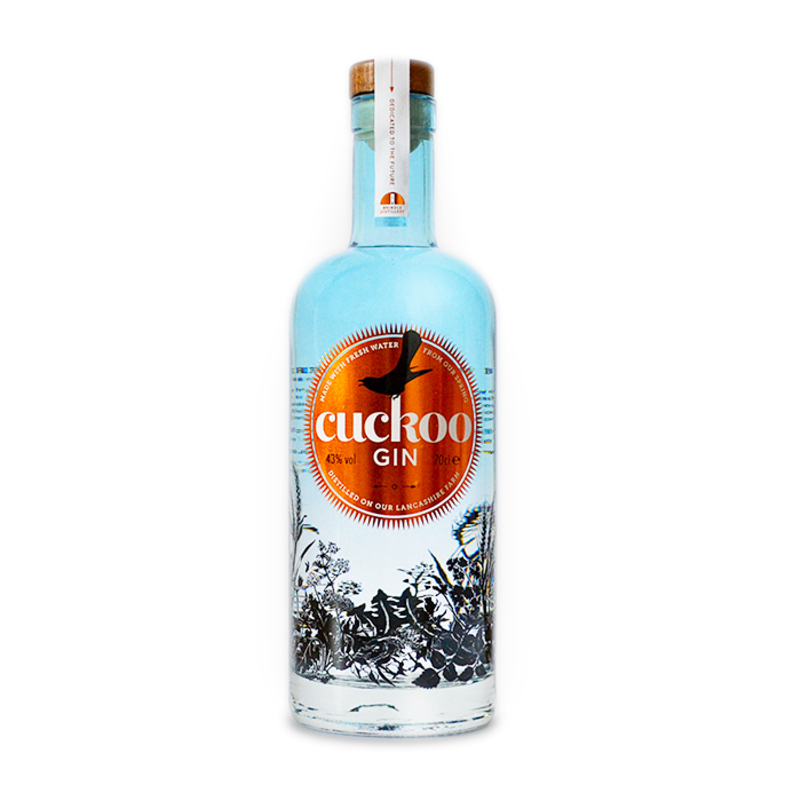 Balanced, savoury redcurrant and blackcurrant sit nicely in a backdrop of juniper. Light, smooth texture rolls into plum, cranberry and hemp. A touch of pine. 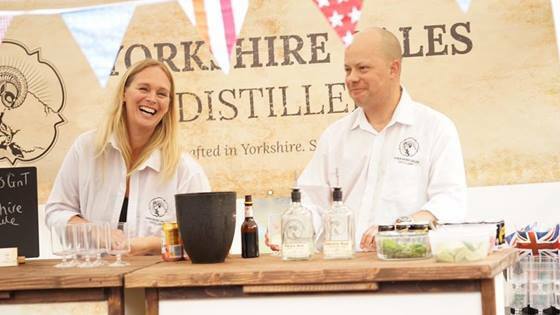 Tony and Sarah have a passion for all things craft spirit born of a longstanding family love of the industry. 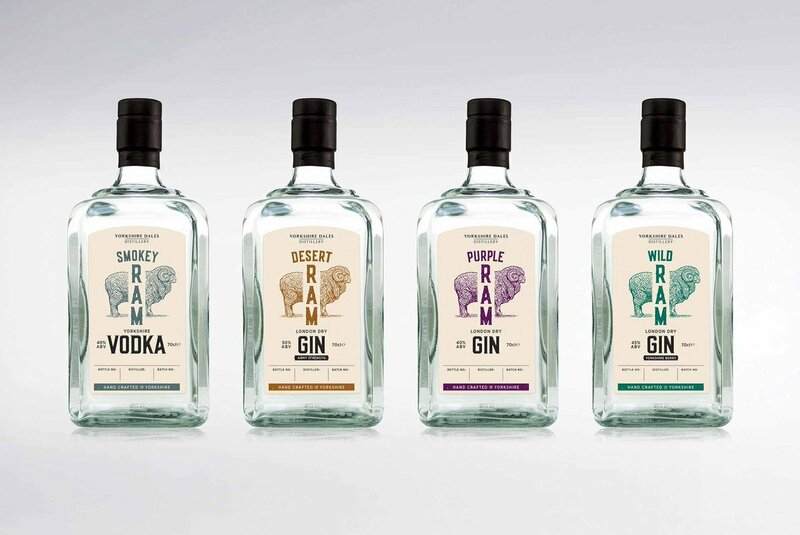 They set up the Yorkshire Dales Distillery in a small village on the edge of the Yorkshire Dales, near the home they have lived in for most of Tony's army career. 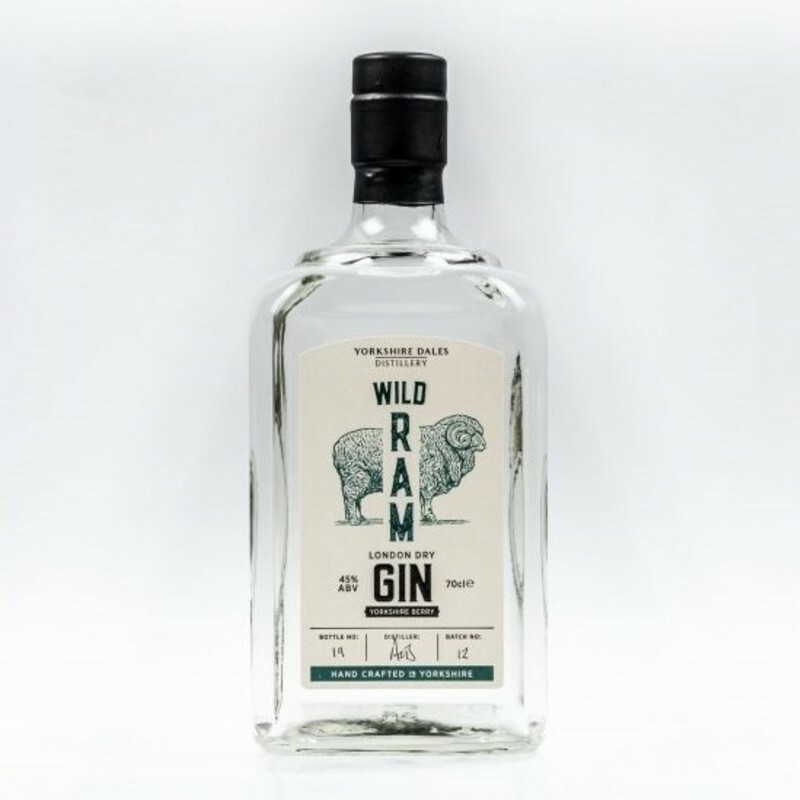 The distillery, which was founded in April 2016, is a true family business, and Tony and Sarah are proud to offer employment opportunities and training for veterans, ex-offenders, young people and the long term unemployed. 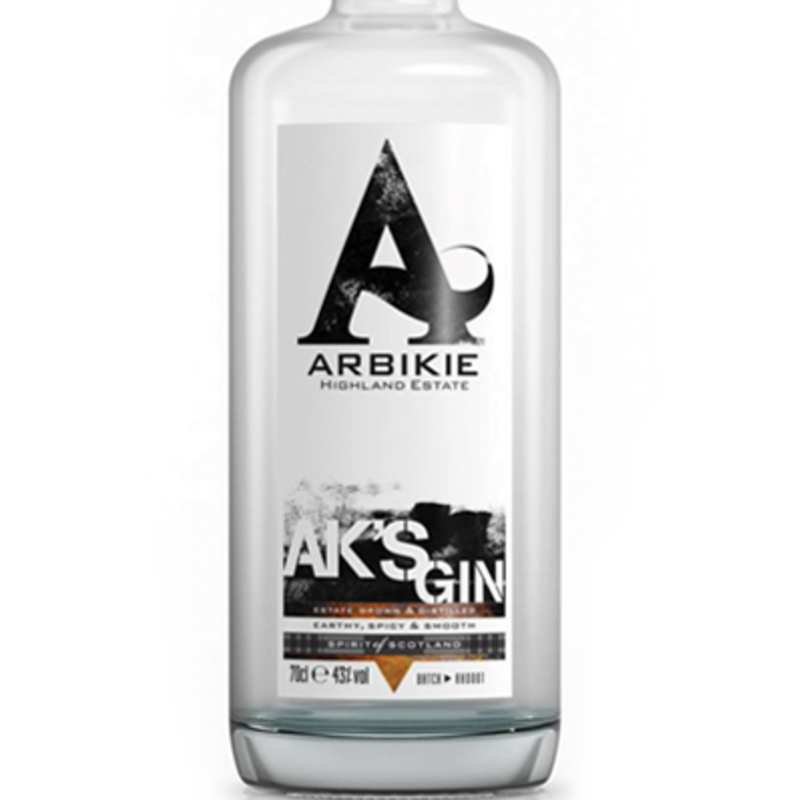 Tony and Sarah have developed four distinctive products: three gins, and one vodka. 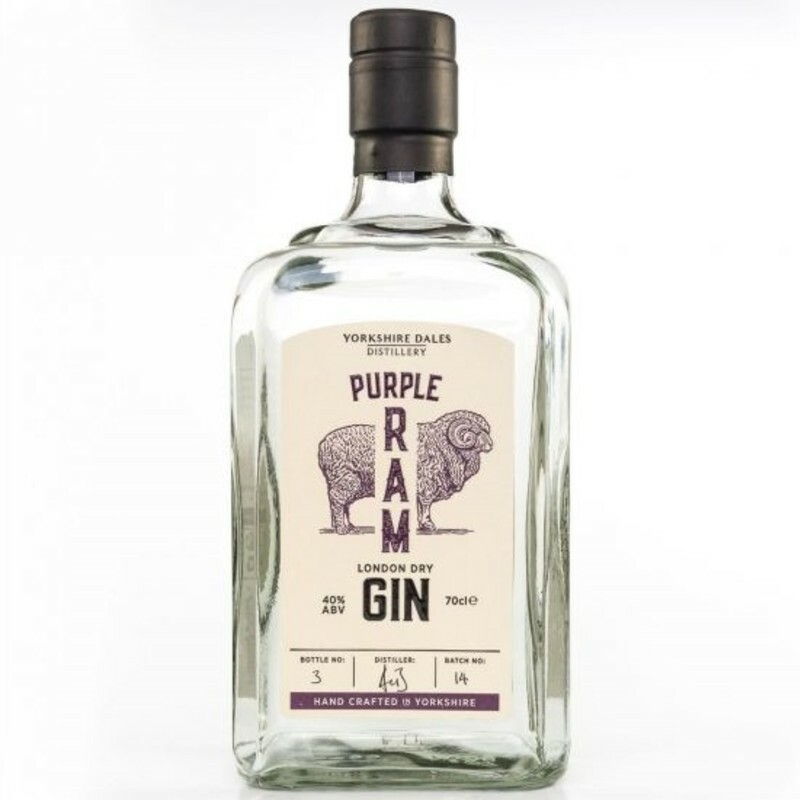 Their signature spirit, 'Purple Ram' London Dry gin, is quadruple distilled and vapour infused with Yorkshire botanicals. 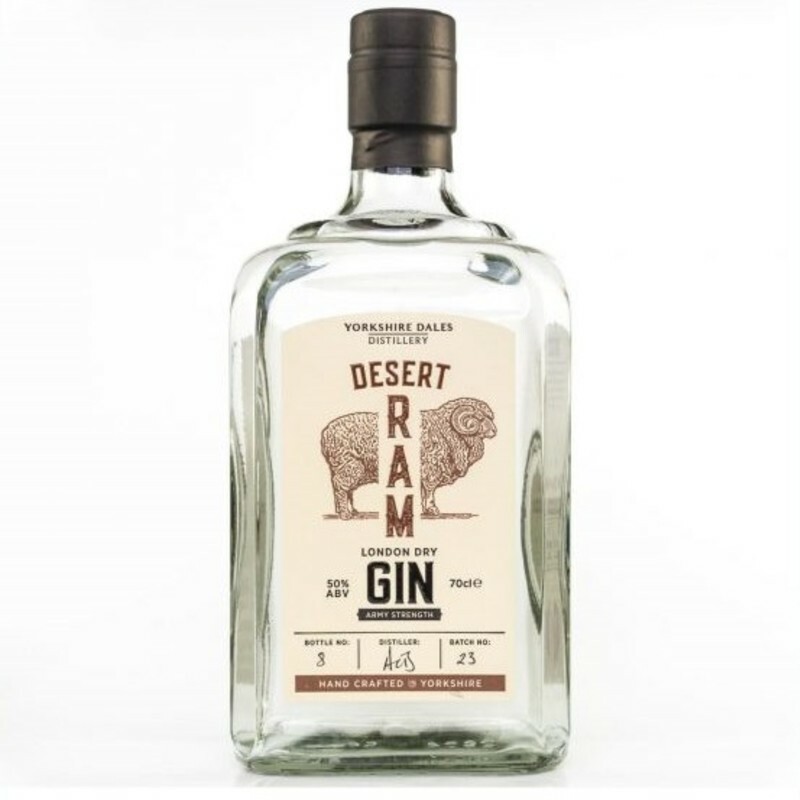 'Desert Ram' - army strength at 50% ABV! 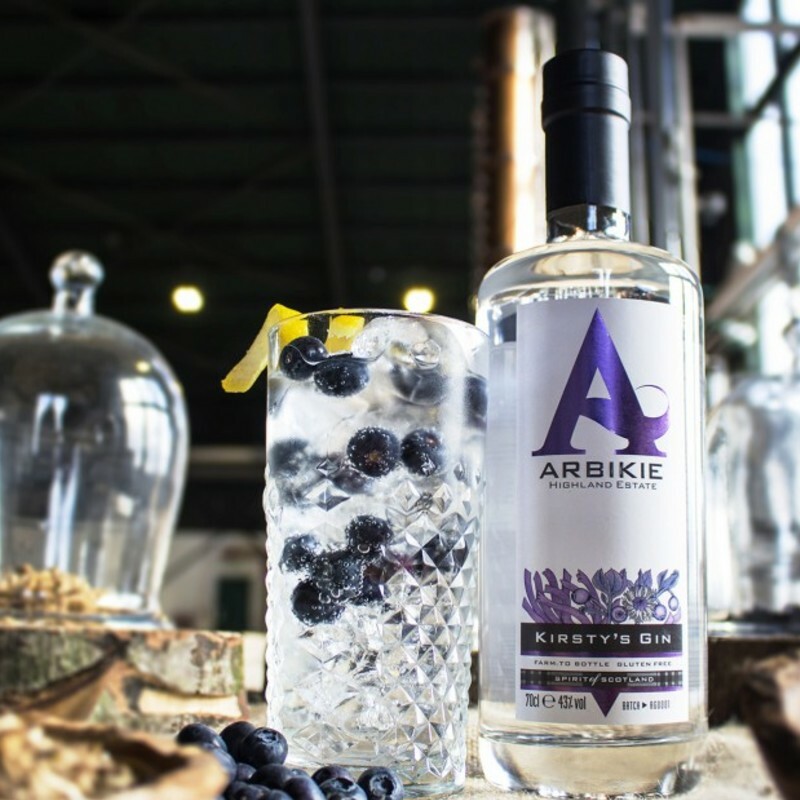 - is enlivened by distinctive flavours from North Africa, while 'Yorkshire Berry' London Dry, the most mellow of the three, is infused with classic Yorkshire berries and heather flowers.